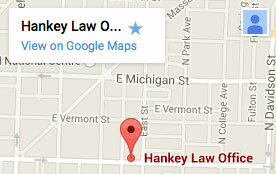 Hankey Law Office > Articles > How Does Social Security Disability Affect Long Term Disability Insurance? How Does Social Security Disability Affect Long Term Disability Insurance? Individuals who have suffered through an injury that has caused a long term disability are often confused about the interaction between social security disability and long term disability insurance. Many disabled individuals are worried about registering for social security disability because they fear that it will hurt or extinguish any coverage they have through their long term disability insurance. Should You Choose between Social Security Disability and Long Term Disability Insurance? The answer to this is no! It is true that receiving social security insurance will likely make your long term disability insurance payout slightly less, but in the long run, it is much more beneficial to receive both. Perhaps the greatest benefit of obtaining social security disability is that your long term disability insurance company is much more likely to agree that you are in fact disabled. It is notoriously difficult to prove long term disability to insurance carriers and the process is a very slow one. If the Social Security administration agrees that you are disabled, you may be able to start getting long term disability benefits very soon thereafter. The insurance company will likely not be thrilled about making a decision that is not consistent with the government’s decision.